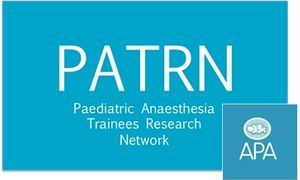 SWARM are supporting the Paediatric Anaesthetic Trainees Research Network (PATRN) to look at unplanned admissions after paediatric daycase surgery. There is very little current data available in the literature regarding this topic and certainly no national paediatric figures against which centres can compare themselves. We believe this project will provide invaluable data for centres to use as a basis for quality improvement projects and service provision planning. 1. An initial retrospective review of annual figures. 2. A second period of prospective data collection over a period of time informed by the retrospective numbers. Data collection was completed in 2017 - .awaiting results. An abstract was submitted to the APAGBI ASM on 7th-9th June 2017.